In this Lowy Institute Analysis, G20 Studies Centre Director Mike Callaghan examines what outcomes from the Brisbane G20 Summit in November would help reinvigorate the forum and render this year's Summit a success. 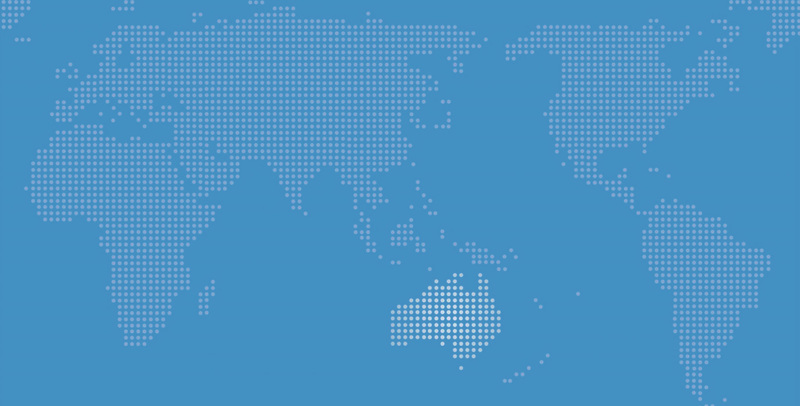 While Australia has sought to strengthen the G20 by pursuing during its presidency a more focused agenda, events in 2014 have increased the challenges confronting the global economy and the G20. The Brisbane Summit needs to demonstrate that the spirit of cooperation is alive and well within the G20. To be a success, the Brisbane Summit requires a headline outcome, engaged leaders, a minimum of rhetoric, a focus on implementation, and clear evidence of cooperation between members. Achievements should include a focus on implementing the reforms needed to achieve the G20’s growth target, a renewed effort on multilateral trade liberalisation, and concrete steps to modernising international taxation. It is important that the Brisbane G20 Summit is a success. This is not just a matter of Australian pride. An increasingly integrated world needs an effective forum for international economic cooperation, especially in areas such as international tax, trade, globally operating financial institutions and climate change. Australia must deliver a summit in which the G20 is seen to be serving that role. The G20 is not a treaty-based institution, and has no permanent secretariat or enforcement power. But the G20 can help to provide the political momentum essential to advancing global issues in designated international forums and institutions. In particular, G20 leaders can overcome political roadblocks and provide high-level strategic leadership to ensure that international economic institutions, such as the IMF, World Bank and WTO can meet the needs of an increasingly integrated global economy. The G20’s reputation has been slipping since its high point in the aftermath of the global financial crisis. It provided real leadership then, but, in the years since, the G20 has not always provided the level of economic leadership that the world requires. The Brisbane Summit is an opportunity to reverse that trend. This Analysis will identify some of the key ingredients and outcomes that will make this possible. As the IMF managing director, Christine Lagarde, recently noted: “the breakneck pattern of integration and interconnectedness defines our times.” The global financial crisis demonstrated the close interconnection between financial markets. Increasingly financial institutions operate globally. Cross-border bank claims, for example, have risen from $US6 trillion in 1990 to over $US30 trillion in 2008. The rapid growth in international capital flows has brought many benefits, such as better international allocation of saving and investment. But these flows can be volatile and hasten the international transmission of economic shocks. The global financial crisis demonstrated that greater attention must be paid to the linkages between economies. Specifically, it highlighted the need for close cooperation to oversee globally operating financial firms. The rise of global value chains presents another imperative for cooperation between countries. A typical manufacturing company today relies on inputs from more than 35 different contractors from around the world — for some companies, such as car and airplane manufacturers, the number is significantly higher. Global value chains have become the dominant feature of world trade. The growing fragmentation of production across national borders emphasises the importance of open trade and investment regimes. Barriers to trade affect not only foreign suppliers, but also domestic producers. With goods now ‘made in the world’, trade policy has to change. The mercantilist view that saw exports as good and imports as bad, and that believed that market access concessions should only be granted in exchange for access to someone else’s market, is out of date. Domestic firms depend on reliable access to imports to improve their productivity, competitiveness and ability to export. International tax laws also have to adapt to a changed global market place. Firms are increasingly operating globally and production processes are widely dispersed. Increasingly goods and services are provided via the internet. All of this makes it difficult for a jurisdiction to identify where its taxing rights exist, and it is easy for corporations to declare profits in low-tax jurisdictions. The rise of global value chains has been facilitated by technological developments, particularly the digital age. The same forces are transforming international taxation while driving financial innovation and the interconnectedness of financial markets. The evolution of technology and finance is unstoppable. As these developments further increase integration between countries, individual nation states will find it ever more difficult to make laws covering globally operating businesses. Then there is the natural environment, a classic global public good. Global cooperation to mitigate damage to the environment, especially that caused by climate change, is essential. However, as the history of the United Nations Framework Convention on Climate Change (UNFCCC) negotiations demonstrates, reaching an international agreement on reducing emissions is very difficult. Global leadership is required. The Washington, London and Pittsburgh Summits helped avert an even more severe economic crisis. But since then, a view has developed that the best days of the G20 are behind it. While there is truth in such criticism, the forum has achieved much, and it better reflects the changing nature of the global economy than bodies such as the G7. In particular, it has deepened the economic dialogue between advanced and emerging markets. But the G20 does have problems. The spirit of cooperation evinced in the G20’s response to the global financial crisis weakened as the immediacy of the crisis faded. Its agenda became long and unfocused with too much of it pre-cooked by officials in the lead-up to of the leaders’ summit, often leading to bland, lowest common denominator resolutions. Most importantly, the G20 has lost its inherent strength: the direct involvement of leaders in seeking to achieve meaningful outcomes. Former first deputy managing director of the IMF, John Lipsky, has noted the failure of G20 leaders to convince their own citizens of the forum’s relevance to their personal economic well-being. Lipsky argues that “it is hard to say with certainty that any G20 member has altered its policy plans in the interest of achieving greater policy coherence — and therefore effectiveness — with its G20 partners.” This is a key measure of success of a G20 summit — whether it influences the policy choices of its members based on their recognition of the benefits of cooperation. A central objective of the G20 is to restore global growth on a sustainable basis. The credibility of the forum is linked to its ability to deliver on this commitment. At the first meeting of G20 finance ministers under the Australian presidency in February 2014, ministers agreed on the target to lift global growth by an extra 2 per cent above the IMF’s October 2013 forecasts over five years. But since that meeting, international institutions have lowered their forecasts for global growth. As such, the challenge of meeting the target has increased. In June 2014, the World Bank revised down its forecast for global economic growth in 2014 from 3.2 per cent to 2.8 per cent. A month later the IMF lowered its outlook for global growth in 2014 by 0.3 per cent to 3.4 per cent saying: “Global growth could be weaker for longer, given the lack of robust momentum in advanced economies.”  The IMF cut its growth forecast for the United States in 2014 from 2.8 per cent to 2 per cent. There was no growth in France, Germany and Italy in the second quarter of 2014 and, in July, Japan cut its growth forecast for 2014 from 1.4 per cent to 1.2 per cent. In August 2014, the Reserve Bank of Australia projected growth in Australia in the 12 months to June 2015 of 2 to 3 per cent, down from a forecast of 2.25 to 3.25 per cent made three months earlier. Political tensions have increased over the course of 2014, and this will have a bearing on the global economy. Nobel laureate Michael Spence has noted that to an increasing extent, political insecurity, potential conflict and deteriorating international relations pose a greater threat to economic progress than the post-crisis debate foresaw. The tensions in Ukraine, Iraq, Syria, Iran, Gaza, the South China Sea and elsewhere are influencing the global economic outlook. Bloomberg reported in July 2014 that the downward revision in the IMF’s forecasts for global growth reflected a world rattled by geopolitical risks, including the potential for sharply higher oil prices because of unrest in the Middle East. The reduction in the IMF global growth forecasts did not anticipate the impact of sanctions imposed on Russia. The fact that some G20 members (the United States, EU, Japan, Australia and Canada) have imposed economic sanctions on a fellow G20 member, Russia, which has in turn retaliated, will make it difficult to demonstrate a ‘spirit of cooperation’ at the Brisbane Summit. Indeed, anger over the shooting down of flight MH17 has created a widespread public view that the Russian president should be barred from attending the Summit. In July 2014, Argentina defaulted on its international debts for the second time in thirteen years. The catalyst for the most recent default was legal action by so-called ‘vulture funds’ which acquired defaulted debt in 2001. A New York court ruled in 2014 that Argentina could not continue to pay bondholders who participated in the 2001 debt restructuring without also paying in full the ‘holdouts’ or vulture funds. The latest default will have a significant impact on the Argentinean economy, which is in recession and has not been able to access world capital markets since the 2001 default. While the short-term implications of the latest default on the global economy are unlikely to be significant, the fact that a G20 member is in default is not a positive development for the forum. After twelve years of protracted negotiations over the Doha Development Agenda (DDA) of multilateral trade liberalisation, the World Trade Organization (WTO) reached its first liberalisation agreement in December 2013. This helped restore faith in a multilateral approach to trade liberalisation and the WTO. However, India has vetoed the implementation of the Bali agreement on trade facilitation. This has again cast doubt on the prospects of achieving trade liberalisation on a multilateral basis and raised questions about the future of the WTO. The world economy has prospered through a rules-based global trading system administered by the WTO. In the absence of the WTO’s mediation of trade disputes and its capacity to deliver binding rulings, the world economy would likely be engulfed in retaliatory trade wars. Moreover, multilateral trade liberalisation is the only approach that benefits all countries. The slow progress of the DDA saw many countries seek liberalisation through bilateral or regional agreements. While such agreements may benefit the countries involved, they discriminate against countries excluded. The proliferation of bilateral arrangements has resulted in a ‘noodle bowl’ of agreements, each with complex country-of-origin provisions. Determining the country of origin of a product is particularly difficult in a world of global value chains. Surveys suggest that less than 20 per cent of Australian companies take advantage of concessions offered under bilateral trade agreements because of this complexity. If the G20 is to be the premier forum for international economic cooperation, the future of the multilateral trading system and the role of the WTO should be among its top priorities. However, the fact that a member has vetoed a hard fought international agreement and has brought into question the future of the WTO undermines the value of any G20 commitment for international cooperation. In 2010 the G20 agreed to a series of reforms to IMF quota and governance arrangements. The reforms are important, particularly to developing countries and emerging markets. The proposed shift in quota shares from advanced to emerging markets and developing countries agreed in 2010 was modest. But the reform also promised an acceleration of the next general review of quotas and a change in the formula for allocating quotas, which is expected to produce larger shifts in quota shares to emerging markets. Other key aspects of the reforms included a move to an all-elected Executive Board. Europe also gave up two chairs on the Board in favour of developing countries. The reforms have, however, been blocked by the US Congress. This has damaged the credibility of both the IMF and the G20. In particular, the value of a ‘G20 commitment’ has been brought into question. Frustration over the slow pace of governance reform has, in part, contributed to moves by Brazil, Russia, China and South Africa to establish new institutions, including a new development bank — the so-called ‘BRICS’ bank. Action on climate change requires international cooperation. The objective is to achieve an international protocol on the reduction in carbon emissions by the time of the UNFCCC meeting in Paris 2015. While the G20 is not the appropriate forum for negotiating global emission targets, a number of G20 members, including the United States, have indicated that they would like to discuss climate change, particularly in advance of the 2015 UNFCCC meeting, at the Brisbane Summit. As a global economic forum, the G20 should discuss climate change. Australia has, however, indicated that climate change will not be on the agenda, other than through the work on energy efficiency and removal of fossil fuel subsidies. This is to be regretted given the importance that other G20 members place on the issue. These developments raise doubts as to whether G20 members are cooperating to deal with global economic issues and have the potential to undermine the value of commitments made at G20 summits. The challenge for Australia is to ensure that the Brisbane Summit outcomes clearly demonstrate that the spirit of cooperation is alive and well in the G20. While Australia has sought to narrow and prioritise the G20 agenda, it has still pursued an ambitious 10 work streams. The Brisbane Summit is more likely to be considered a success if there is clear evidence of significant progress on a few issues, as opposed to gradual advances across multiple tasks. The Brisbane Summit will need a ‘headline’ act or outcome. For the G20 to be the premier forum for international cooperation, the summit has to be more than just another meeting on a leader’s crowded international travel program. If the G20 is to make significant progress in Brisbane, negotiations cannot be left solely to officials; leaders must be directly involved. Officials should identify the contentious issues that leaders should focus on ­— issues that only leaders can resolve. The greater the leaders’ role in reaching an agreement, the greater the responsibility they will feel for its implementation. Prime Minister Abbott has indicated that the Brisbane communiqué will be no more than three pages. This would be a significant advance on the 27-page communiqué (and over 500 pages of supporting documentation) produced by the St Petersburg Summit. A short communiqué is, however, always easier to compose if there is something substantive to say. The general guide for interpreting G20 communiqués is that the longer the paragraphs, the more likely they reflect disagreement between the members as the drafters try to incorporate differing views. But, no matter how long the communiqué, meaningless rhetoric needs to be avoided. In the past there has been pro forma mention of an issue in a communiqué without any real discussion of the topic at the Summit. For example, previous G20 leaders’ communiqués regularly included a commitment to a successful and ambitious conclusion of the DDA, without any meaningful discussion about how this could be realised. It has been the same for commitments made on climate change negotiations. If the Brisbane leaders’ communiqué is a short statement, with minimal rhetoric and a sense of realism, it would represent a significant break with the past. In addition to presenting a vast improvement in G20 communications, it would signal that the commitments are that have been included are significant and more likely to be implemented. Grand, collective undertakings are regularly made at G20 summits. Previous G20 summit communiqués have stated the forum’s commitment to strengthening global growth, creating jobs, and expanding world trade. But implementation of such commitments relies on the actions of individual countries over many years. What is needed is a program for implementing these undertakings and monitoring performance. Countries are likely to feel more accountable if their responsibilities are identified and their performance measured and published. This can be done through peer reviews, or it can be undertaken by the international economic organisations. The success of the Brisbane summit hinges on evidence of cooperation between members. The underlying premise of the G20 is that cooperation produces benefits for all. As John Lipsky has pointed out, to forgo progress in the G20, in principle, implies forgoing the benefits of cooperation. A key ingredient for the Brisbane Summit will be progress on ‘international issues’ – such as international tax, trade and globally operating financial institutions – that cannot be solved by countries acting unilaterally. A problem confronting previous summits is that they have been hijacked by the crisis of the moment. The agenda of the Cannes Summit in 2011 was dominated by political turmoil in Greece and Italy. The 2013 St Petersburg Summit was marred by rising political tensions between Russia and G7 countries. Leaders will, and should, discuss the prevailing issues of the day. The G20 must be responsive to international developments such as rising tensions in Ukraine and the Middle East. But to avoid the crisis of the moment crowding out other issues, Australia should signal in advance that time will be set aside in the leaders’ agenda to discuss geopolitical events. This would also alleviate public pressure over President Putin’s attendance. Australia could indicate that at the Brisbane Summit, Russia will be expected to account for its actions in Ukraine. The overarching objective of the G20 is to support global growth and create jobs. Central to this is the commitment to lift global growth by an additional 2 per cent over five years. Each G20 member will submit its growth strategy at the Brisbane Summit that includes the additional policy measures required to achieve the increase in global growth. The growth strategies will be combined to form the Brisbane Action Plan. An IMF/OECD assessment released at the G20 Finance Ministers meeting on 20-21 September 2014, found that world growth would increase by an additional 1.8 per cent over five years if countries were to implement all the policy measures submitted to date. This is an improvement on previous G20 ‘action plans’, which largely consisted of measures countries were already implementing or had announced. To achieve the ‘extra’ growth G20 members have committed themselves to, they will have to come forward with ‘extra’ policy measures. The extra growth will not be realised though, unless these additional policy measures are implemented. The challenge facing most G20 countries is that these measures often involve domestically difficult economic reforms. According to the Australian Treasurer, Joe Hockey, G20 members have submitted over 700 new policy measures to increase growth, although the specific measures have not been made public. They will be released as part of the Brisbane Action Plan. The test will be whether G20 members commit to implementing politically difficult structural reforms, particularly the reforms recommended by the international organisations. Aspirational reforms with little prospect of early implementation must be avoided. The policy measures countries outline should be detailed and contain implementation timelines. International organisations should indicate explicitly whether they will be revising their own forecasts on the basis of the additional policy commitments by the G20. The 2 per cent growth target has been criticised as a long-range commitment that will soon be forgotten. However, the Brisbane Summit outcomes will be more credible if policy commitments are accompanied by details on how the implementation of commitments will be monitored and results measured. In addition to reports on the collective impact of the measures on world growth, the IMF and OECD should indicate what they estimate as the impact on the growth rate of each G20 member. The international organisations should be asked to provide regular progress reports on each member, along with an assessment of the G20’s progress towards the growth target and if further action is required to achieve it. A date should be set in 2015 for completion of the first implementation report. This report should be published and discussed at next year’s G20 finance ministers meetings and leaders’ summit. Australia has identified infrastructure investment, particularly through increased private sector financing, as a priority for 2014. This is not a new priority. At previous summits, G20 leaders committed to increasing infrastructure investment. The challenge for the Brisbane Summit is to move beyond rhetoric and identify specific steps that countries should take to increase infrastructure investment. Detailed infrastructure investment plans should form a key part of the growth strategy that each G20 member submits at the Brisbane Summit. This is appropriate because policy priorities will vary from country to country. For example, while China needs to improve the quality of its infrastructure investment, its main challenge is to increase consumption expenditure relative to investment spending. By contrast, the IMF has argued that to achieve the G20’s growth target, public investment, particularly on infrastructure, has to be increased by ½ per cent of GDP in the United States, Germany, Brazil, India and Indonesia. The country growth strategies should cover the steps each G20 member is taking to improve their domestic investment environment. In particular, countries should focus on the specific areas that the international organisations have identified as requiring attention. This includes eliminating unfavourable regulatory conditions, creating new markets for long-term financing, increasing the efficiency of existing infrastructure, and improving the capacity to plan and deliver projects. Of course, not every country suffers the same problems and each will need to address its own specific obstacles. There also needs to be a focus on the quality of infrastructure projects and not just the quantity, which is a danger if targets are established to increase infrastructure spending by a certain per cent of GDP by a set date. IMF research has brought into question whether there is a long-term positive relationship between big infrastructure investment and growth. The World Bank also notes that simply increasing spending on infrastructure will not necessarily increase long-term economic growth. Countries need to prioritise the ‘right’ infrastructure projects, wherein the benefits of the project exceed its costs, including all social and environmental costs and benefits. The key ingredient to improving infrastructure planning and project selection is transparency. In many respects, it does not matter who undertakes project assessments, provided all the factors taken into account in making a decision are fully disclosed and available for public scrutiny. The Brisbane Summit would make a positive contribution to efficiently advancing infrastructure investment if G20 members committed to making the selection of infrastructure projects fully transparent. Australia has emphasised the need to increase private sector financing of infrastructure. Public Private Partnerships (PPPs) are often seen as the key to this. However, the utility of a PPP depends on the economic characteristics of the project. PPPs can be a significant source of infrastructure funding, but the preconditions for successful PPP contracts are very demanding. The proposed global infrastructure hub or platform, which is intended to share best practice on PPPs and match potential investors with projects, is a positive development. However, it will likely start as a small pilot program and it is crucial that it not duplicate the World Bank’s Global Infrastructure Facility, which has similar objectives. The use of PPPs should be kept in perspective. At the Brisbane Summit, leaders should signal that a decision to use private financing through a PPP should rest on whether it would result in lower production costs, better maintenance, and a higher level of service then if the investment were financed totally by public funds. Trade liberalisation should be a priority for the Brisbane Summit. Increased global trade will be a requirement if the G20 is to achieve its growth target. The G20 is a global forum, so its focus should not be on bilateral or regional trading agreements, but on the future of the multilateral trading system. While the G20 is not the place for detailed trade negotiations, leaders should provide strategic direction for the future of the global trading system. Such direction is badly needed. India’s recent veto has thrown the future of the multilateral trading system and the WTO into doubt. Against this background, the G20 needs to restore confidence in the system. To that end, a significant outcome from the Brisbane Summit would be for G20 members to strengthen their existing agreement for a standstill against protectionist measures by committing to roll back all protectionist measures, including non-tariff measures, which were introduced after the global economic crisis. This will be challenging because many of these were introduced in response to domestic political pressure. The credibility of the G20 would be strengthened if leaders called on the WTO to monitor and publicise their progress in rolling back these measures. Leaders will need to address the future of the Bali agreement. It would be a major achievement for the Summit if G20 members committed to the rapid implementation of the measures contained in the Agreement on Trade Facilitation, without waiting for formal ratification. G20 members should also commit to providing the necessary assistance to developing countries to allow them to implement the trade facilitation agreement. The Brisbane Summit will also have to address the future of the Doha round. The communiqué needs to be more than just a broad commitment to a conclusion of the round. Leaders need to demonstrate their commitment to the multilateral trading system and the importance of the WTO. One way of doing this would be to support the WTO in developing a package of measures that would conclude the Doha Round. Leaders should outline the future direction of the multilateral trading system and the WTO beyond the Doha round. In particular, leaders should signal that the WTO will be focused on the governance of global value chains, which are now the most important element of the global trading system. If the Brisbane Summit achieved progress along these lines, it would be remembered as the summit that breathed life back into the multilateral trading system. Combating tax evasion and avoidance is a G20 priority. A particular focus is to end bank secrecy and address base erosion and profit shifting (BEPS), where globally operating firms shift profits to low- or no-tax jurisdictions. The Common Reporting Standard (CRS) for the automatic exchange of tax information was agreed at the February 2014 meeting of G20 finance ministers. This measure will help end bank secrecy and tackle tax evasion by individuals. Australia recently announced that it will join 44 other countries and adopt the CRS but three G20 members are still holding out. By the Brisbane Summit all G20 members should indicate that they will adopt the CRS. In July 2013, at the request of the G20, the OECD released a 15-point action plan to address BEPS, with reports to be produced in 2014 and 2015. The OECD has delivered the seven reports scheduled for this year. Some contain specific recommendations in certain areas (such as hybrids, treaty abuse, transfer pricing for intangibles and country-by-country reporting) while others are progress reports (tax challenges of the digital economy, harmful tax practices, and feasibility of a multilateral instrument). This is a significant achievement, but it remains a work in progress. Many of the difficult issues are still to be addressed. Moreover, implementation of the OECD recommendations will require each G20 country to amend its domestic laws. The OECD says it is feasible to conclude a multilateral instrument that will amend over 3000 bilateral tax agreements at once. While such an instrument may be technically feasible, it remains to be seen whether it can be achieved within a reasonable time. It will be important that political support for efforts to tackle BEPS be reinforced at the Brisbane Summit. While the process of starting to implement most of the proposed measures will not begin until all the OECD’s reports are completed next year, leaders should demonstrate in Brisbane their political support for combatting BEPS by agreeing to adopt country-by-country reporting of transfer pricing as quickly as possible. The BEPS action plan is an important initiative, but corporate tax evasion and avoidance will not be ‘solved’ just through the OECD/G20 BEPS agenda. The complexity of global business operations and the continuing impact of technological developments are challenging the appropriateness of some basic international tax principles. These will ultimately have to be re-assessed. The Brisbane Summit needs to present the BEPS project as part of a broader fundamental change in international tax governance. While non-OECD G20 members are participating in the BEPS project, developing countries have expressed concern that they are not directly involved, particularly since they are more adversely impacted by base erosion than advanced economies. The OECD notes that the risks faced by developing countries from BEPS, and the challenges of addressing them, may be different both in nature and scale to those faced by developed countries. At their meeting in September 2014, G20 finance ministers requested the international organisations to develop, by this year’s summit, a new process to provide for the input of developing countries into the BEPS process. International tax issues can no longer be largely OECD-centric. The Brisbane Summit should formalise the participation of non-OECD G20 members beyond the current BEPS timetable, and announce mechanisms to more actively and directly involve developing countries in the negotiations. The task is not only to modernise international tax laws, but also the forum through which they are developed. Australia has said that the G20 should focus on delivering core financial regulation reforms in time for the Brisbane Summit, namely: Basel III capital and liquidity requirements; measures for countering ‘too big to fail’ financial institutions; making derivative markets safer; and transforming the shadow banking sector. These reforms are being pursued by the Financial Stability Board (FSB) and the design phase of most of the regulatory changes should be settled by the Brisbane Summit. The G20 provides important political backing for the strengthening of financial standards and regulation. The completion of the design phase of many of the reforms that were initiated in response to the global financial crisis is a significant achievement. But the implementation of reforms will run over many years. Responding to a rapidly changing financial sector is an ongoing task. Standards will have to be constantly reviewed and any unintended consequences identified and corrected. An important development at the September G20 finance ministers meeting was the FSB’s agreement to publish an annual report on the implementation of the reforms and their impact. The G20 should focus on strengthening the governance and operations of the FSB and support the FSB’s efforts to improve country representation. Ensuring that FSB governance and representation arrangements build confidence and trust among not only members, but also non-members, should be a key objective. An important outcome from Brisbane would be improvements in the way the FSB, and other financial standard setting bodies, approach their work. This should include the adoption of guiding principles for the development and review of financial standards. Such principles would include: a clear mandate for new or enhanced regulation; mandatory ex ante cost-benefit analysis of financial standards; assessment of implementation difficulties before regulation is introduced; comprehensive consultation arrangements that include emerging markets and developing countries; and consideration of alternatives to further regulation, such as providing greater discretion to regulators. In 2010, the G20 agreed to reform IMF quota and governance arrangements currently blocked by the US Congress. The G20 should continue to press the US Congress to pass the reforms but also seek ways to work around the blockage in Congress. At the Brisbane Summit, leaders should commit to specific steps that ensure that the failure to advance the governance reforms does not impact on the operations of the IMF. In particular, G20 leaders should ensure that access to the Fund’s resources and its surveillance is even handed and not biased towards any group of countries. G20 members need to be concerned not just with their own economic prospects, but also with the impact of their policies on non-members, particularly developing countries. The G20 has made progress on some issues on its development agenda, including the introduction of the Agricultural Market Information System to help strengthen global food security, work on reducing the cost of remittances, and efforts to promote financial inclusion. But the agenda has been criticised as being too diffuse and largely an ‘add-on’. A significant outcome of the Brisbane Summit would be the mainstreaming of development issues. For example, restoring strong growth in their own economies is one of the most practical means for the G20 to aid development. But a more coherent G20 growth narrative must account for the contribution of developing economies to stronger global growth. As part of advancing the G20’s growth objective, the infrastructure needs of developing countries must be addressed. G20 leaders should use their influence to ensure that multilateral development banks have the capacity and strategies to assist developing countries with this task. On trade, leaders should emphasise the benefits to all countries, particularly developing countries, of multilateral approaches to liberalisation. A particular focus should be on ensuring that developing countries have the financial and technical capacity to benefit from increased international trade. As noted previously, the G20’s work on combatting tax evasion and avoidance is of vital concern to developing countries. They must be part of the process and their capacity constraints must be addressed. Boosting their domestic revenue-gathering capacity would make a major contribution to increasing their development prospects. National employment plans are being coordinated through the G20 Taskforce on Employment. These plans should be part of each country’s individual growth strategy, for while objectives may be similar, priorities and policy responses will depend on domestic circumstances. For example, countries will have to get the ‘right’ balance between promoting flexibility and ensuring security in their labour market regulations. Enhanced labour market flexibility can bring more dynamism to labour markets, but this should not be at the expense of fair employment conditions (an issue in advanced economies) and informality (an issue in developing countries). Countries will have to ensure adequate social protection networks for both fairness and productivity reasons. Boosting labour market participation is an important component in achieving an increase in economic growth. There cannot be a 'one-size-fits-all’ solution for increasing participation amongst diverse groups including women, young people and disabled workers. Policy solutions will need to reflect this diversity, while providing incentives, removing impediments and enhancing employment opportunities for the most vulnerable. Country employment plans should include measures to increase education and skills. Again, these will need to be tailored to national circumstances. Facilitating the mutual recognition of qualifications should also be prioritised. A good outcome from the Brisbane Summit would be to see these aspects incorporated, as appropriate, in each country’s growth strategy. Fighting corruption is an ongoing objective of the G20. The Brisbane Summit will see the establishment of a new G20 Anti-Corruption Action Plan for 2015-16. The aim should be for the G20 to add value to the existing anticorruption efforts of multilateral institutions, such as the OECD and UN. A significant outcome of the Brisbane Summit would be for the G20 to adopt principles aimed at cracking down on the misuse of company structures to avoid detection, particularly through the introduction of enhanced transparency requirements for beneficial ownership of companies, such as through public registers. The G20 Energy Sustainability Working Group has been focusing on improving transparency in energy markets, particularly gas markets, issues of energy architecture, energy efficiency and the removal of inefficient fossil fuel subsidies. These issues are important. However, a particularly significant outcome of the Brisbane Summit would be recognition of the need for a forum focusing on global energy challenges that brings together the major energy consumers and producers. Existing global energy governance arrangements are fragmented and do not reflect changes in energy markets, particularly the growing role played by emerging markets. Starting the process of reforming global energy governance arrangements would be an important achievement by the Brisbane Summit. To be considered a success, the Brisbane Summit must produce tangible outcomes that demonstrate the G20 members’ willingness to act in concert to address pressing global issues. Furthermore, G20 leaders need to show that they intend to act on their commitments by inviting international economic organisations to monitor the implementation of each member’s required reforms and the group’s overall progress in meeting the 2 per cent growth target. The Summit must concentrate on the future of the international trading system. The summit will need to demonstrate progress in ensuring that international tax laws are adjusting to the challenges of globally operating businesses. None of these things will be easy to achieve. But progress on a number of them would mark Brisbane as a success. Without such progress, however, doubts about the G20’s role as the premier forum for international economic cooperation will continue to be raised. G20 “Leaders’ Statement: the Pittsburgh Summit,” Pittsburgh, 24-25 September 2009. IMF and OECD, “Quantifying the Impact of G20 Members’ Growth Strategies,” G20 Australia.